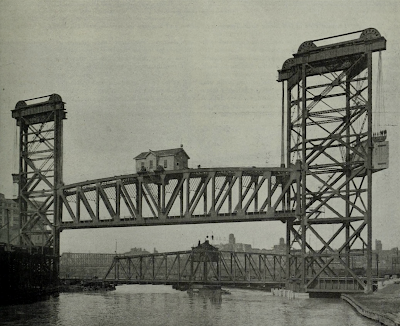 July 29, 1914: Destruction begins on the swing bridge at Canal Street to make way for the new vertical lift bridge for the Pennsylvania Railroad as the new bridge stands, nearly complete, above it. The new bridge will be the heaviest lift span in the country. 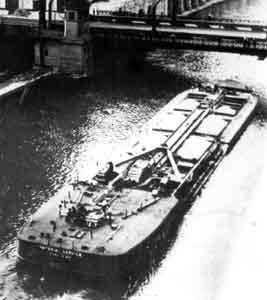 Today it is the only bridge of its type on the Chicago River system. When it is raised, the bridge provides 130 feet of clearance for traffic on the river below. 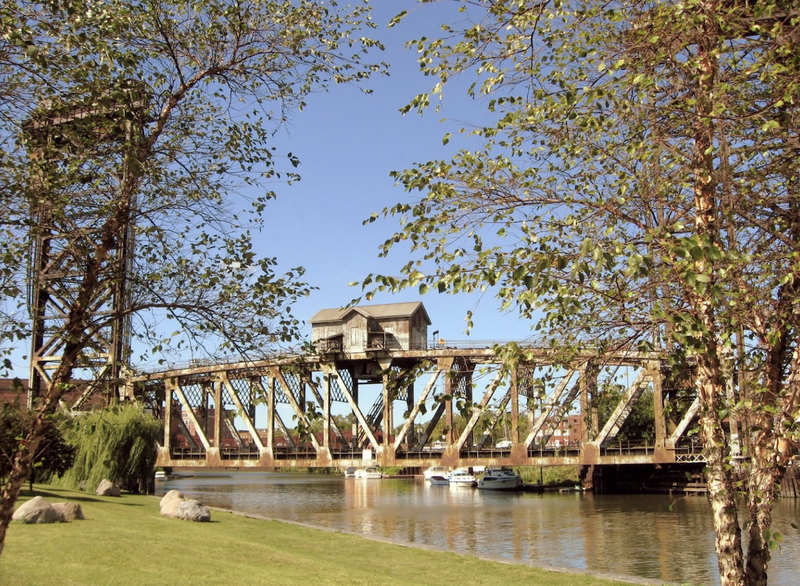 According to historicbridges.com“The lift truss span was constructed outward from the towers with the use of special falsework that angled back into the tower so that it would not be in the river obstructing boats … As built the bridge contained 6,941,000 pounds of structural steel and machinery. 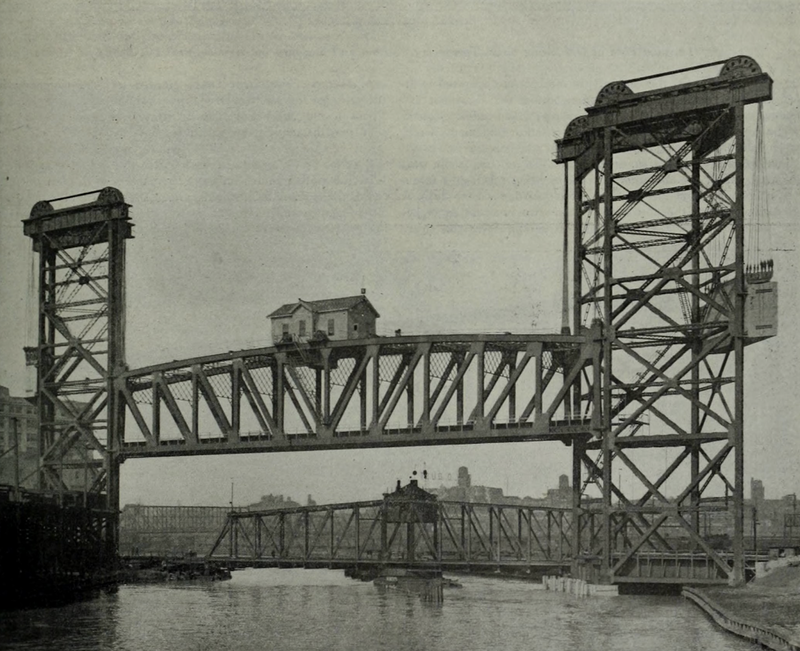 An interesting design feature of the bridge was that the northern piers of the bridge were built overly wide, so that half of these piers could support half of a second vertical lift bridge, should the railroad have wished to add more trackage to the line.” The top photo shows the new bridge towering above the original swing bridge in 1914. The color photo shows the bridge today in its lowered position.